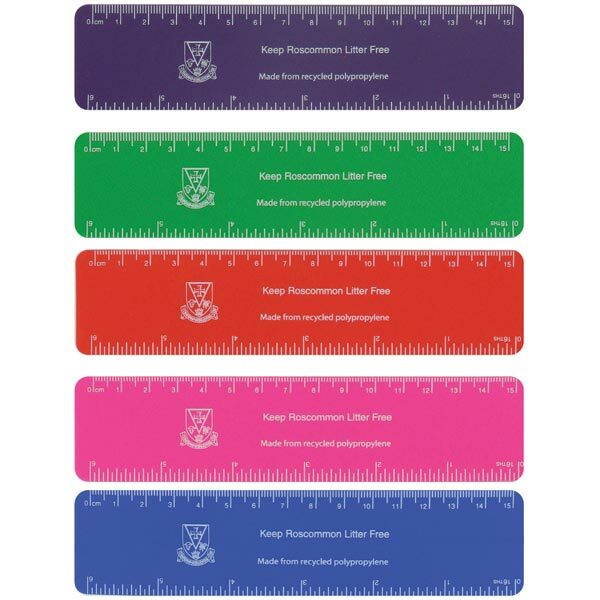 Recycled Flexible 15cm ruler made from recycled UK waste polypropylene. Manufactured in the UK. 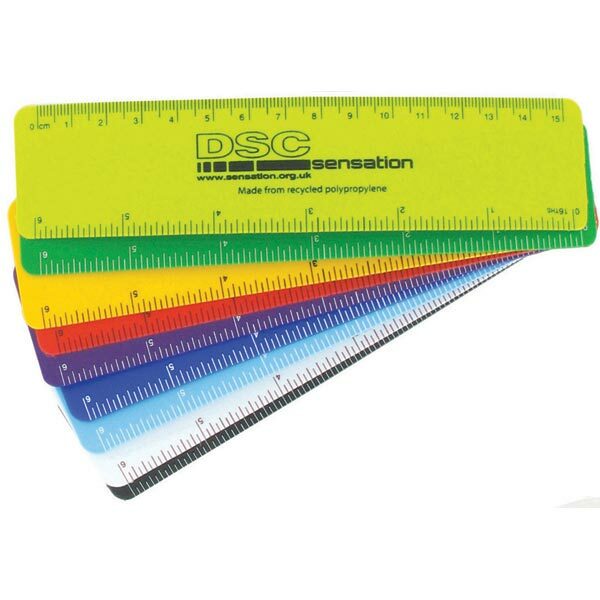 15 cm white ruler made from durable plastic. Available in five popular colours. 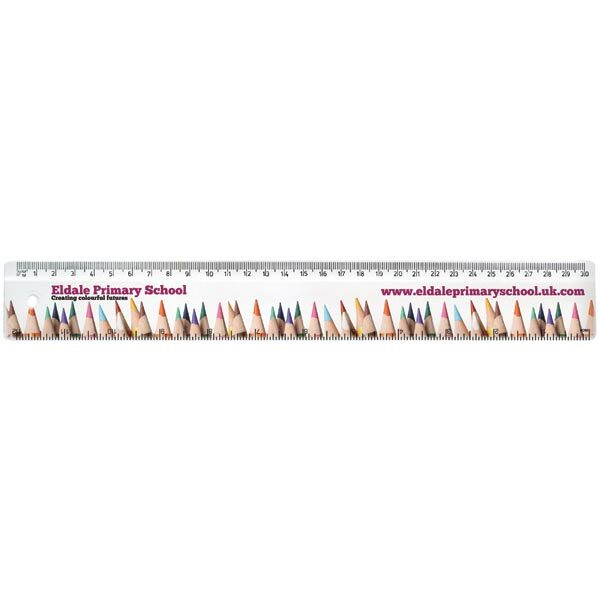 Also available with full colour digital print for an additional charge. 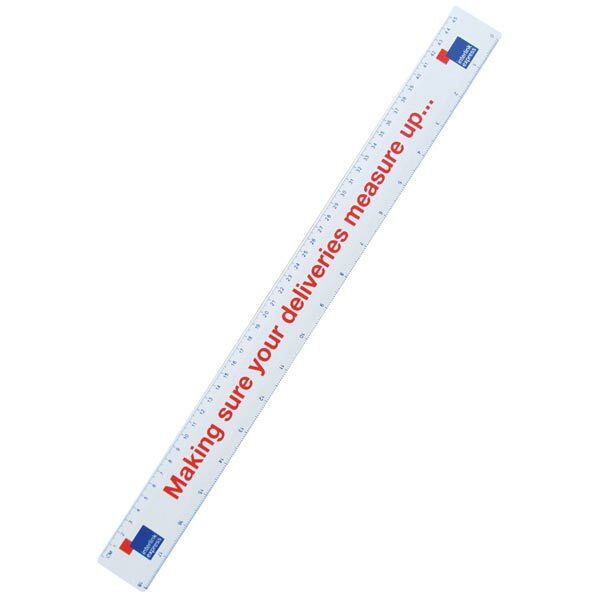 12/30cm screen printed ruler with a bevelled edge. 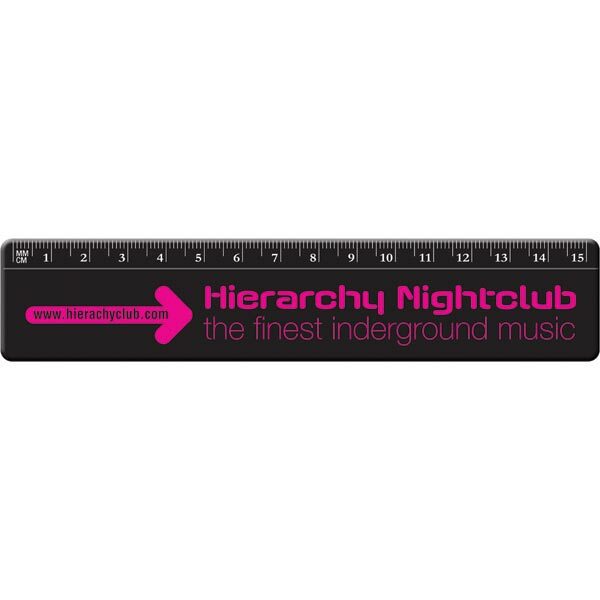 Great value for money with a fantastic branding area.